Join us as Abby and her four-footed friend Chowser discover the wild, wild woods and all of its inhabitants. Along their journey, they encounter a no good, icky tick named Nick. 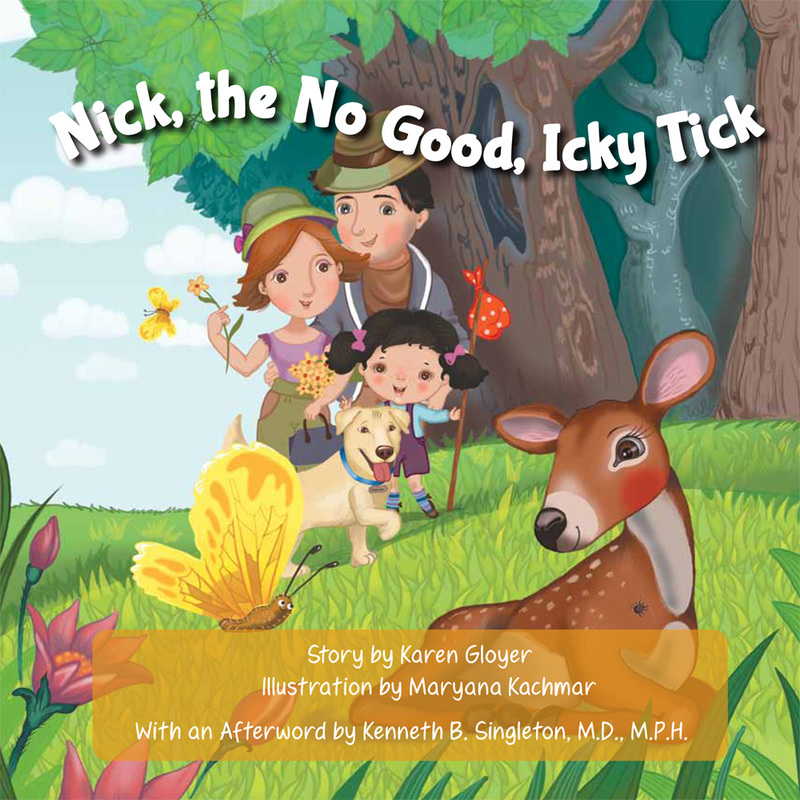 This children’s book was developed as an educational tool to teach children and parents about Lyme Disease, from how the disease is transmitted by no good, icky ticks like Nick, to identifying and treating the disease. Follow along with Abby and Chowser as they explore the wild, wild woods in this playful and colorfully illustrated tale, and make sure you always do a tick check once you have been outside. You don’t want a visit from Nick, the No Good, Icky Tick!